For optimum power transfer to the bike, leg power needs to be effectively converted into propulsion. 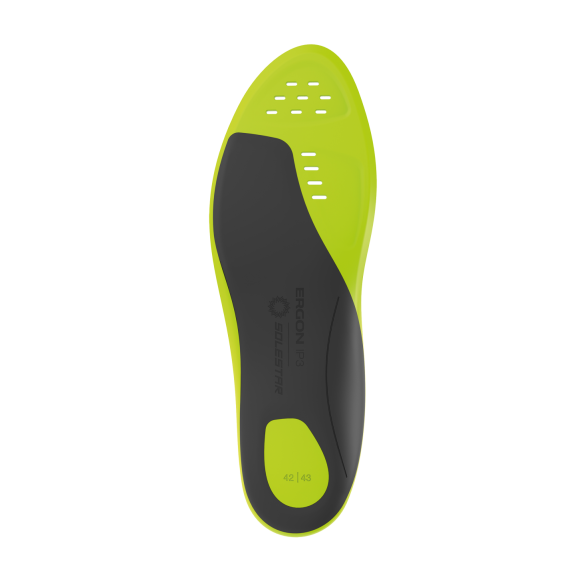 The IP3 insoles support and stabilize the power transfer from the legs and feet straight to the pedals. 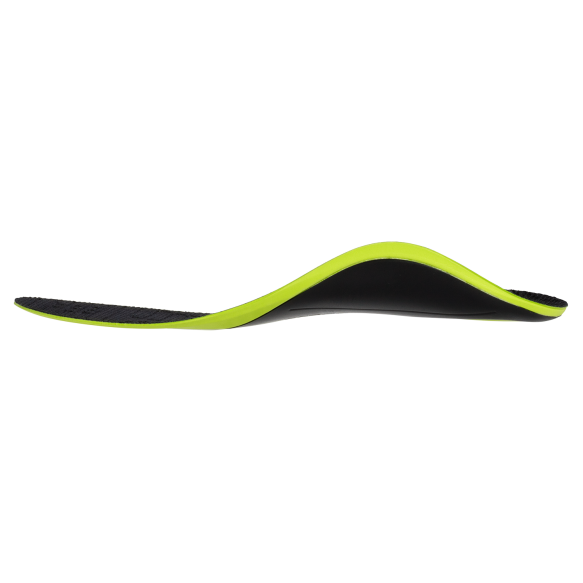 Due to the patented stabilization delta, a natural foot position is achieved through three points resulting in an efficient and comfortable motion sequence while pedaling. 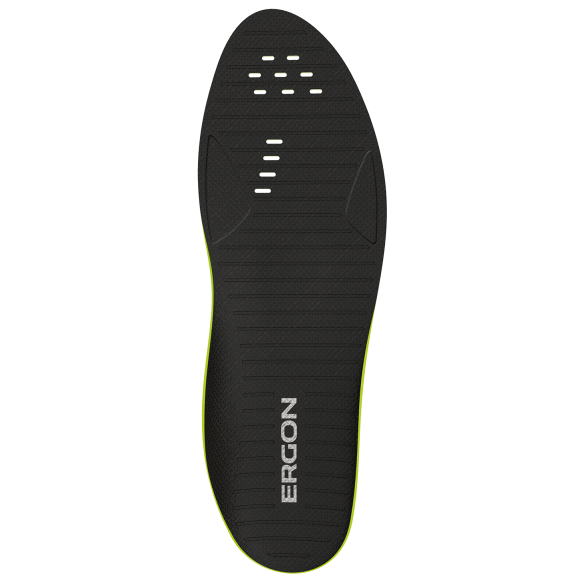 Made in Germany and developed with insole specialist Solestar. *Weights may vary in production.Weighted size 40/41. **Price can vary by country. The feet make natural movements inwards and outwards (pronation / supination) when burdened. While cycling, these movements bring disadvantages both biomechanically and ergonomically: loss of power, combined stress on the ligaments, tendons and joints. 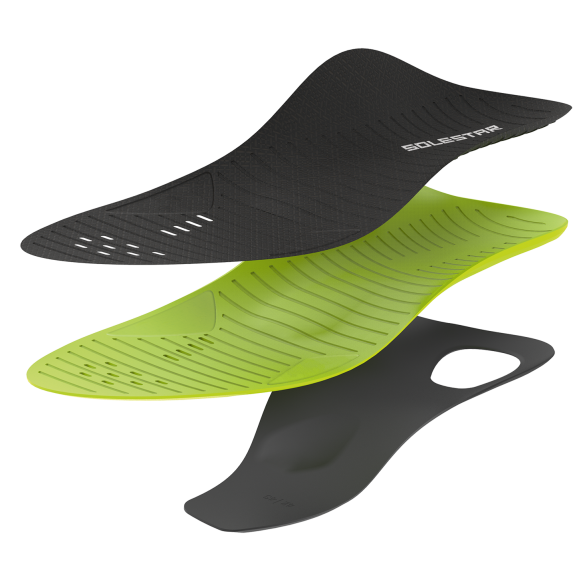 With the patented Solestar Stabilization-Delta, the foot is aligned to its natural neutral position. 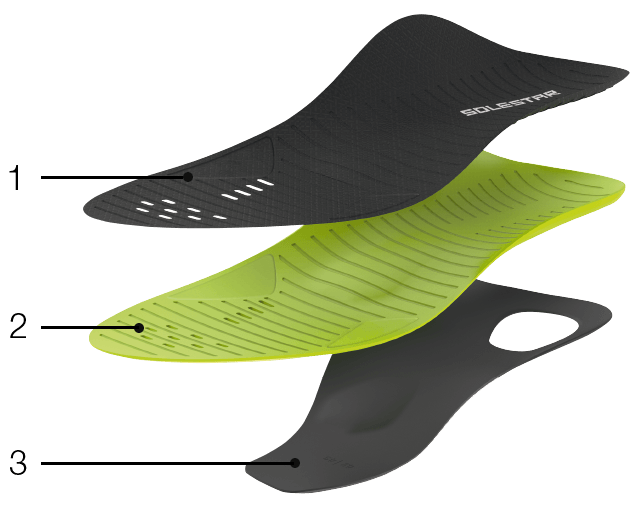 The power transmission is optimized and the movement pattern during pedaling is symptom-free. 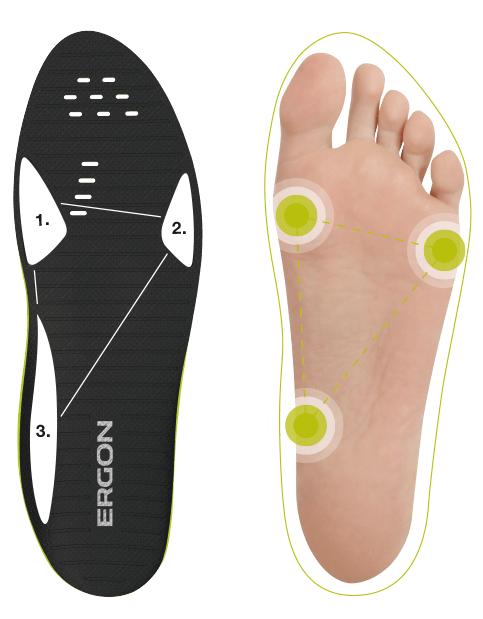 For the leg strength to be transferred into propulsion optimally and without discomfort, the feet should be stabilized in their natural neutral position and involuntary movements of the foot joint should be avoided (pronation / supination). 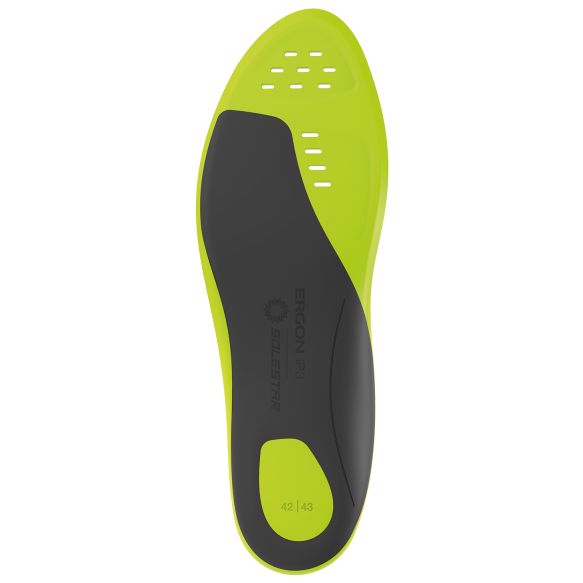 IP3 insoles optimally channel the power from the legs biomechanically. Alignment of the feet straight to the pedals offers protection to the joints and tendons. 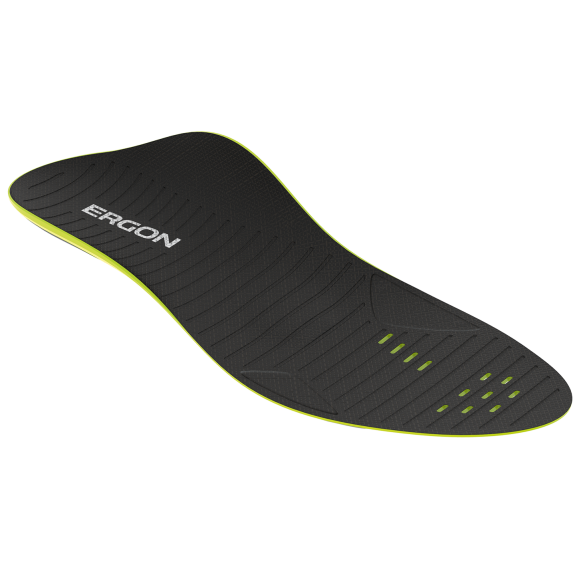 Greater performance and less discomfort due to optimized biomechanical foot support. 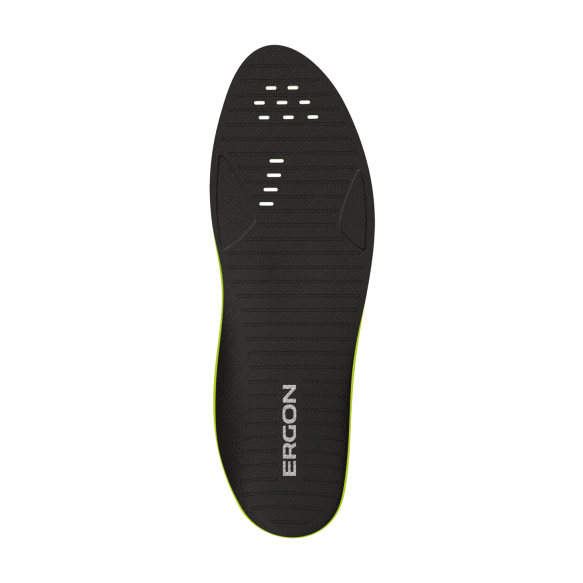 Developed with German insole specialist Solestar.